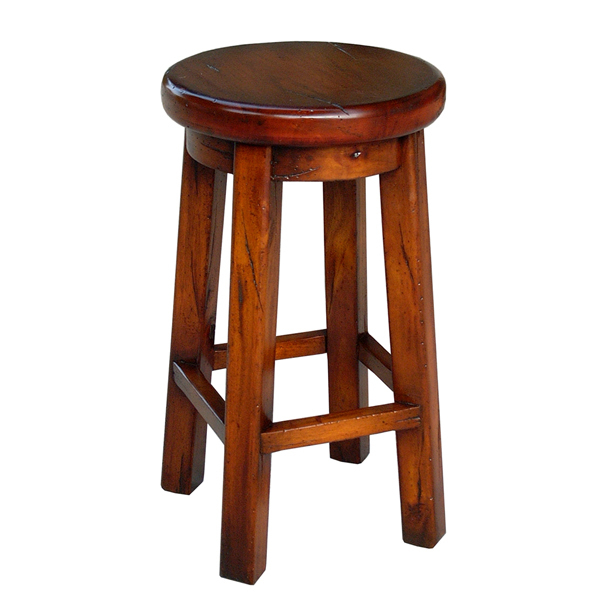 Simple, round counter stool. Also available in a Bar Stool. Shown in Aged Honey wood stain finish with Antiquing Premium Finish applied to that. Handcrafted from solid premium mahogany.